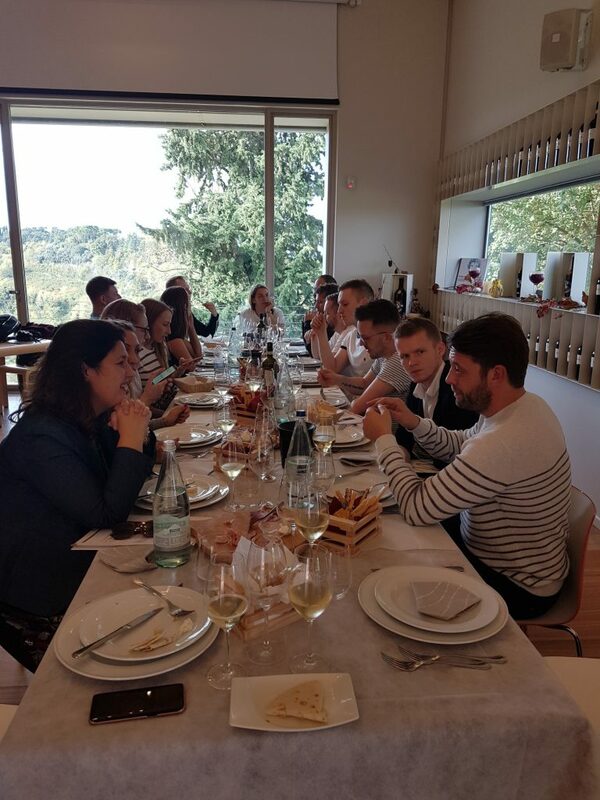 Hallgarten Marketing Coordinator, Charli Truelove, recently took to the road with Sales Manager, Phil Brodie in the Midlands team, and a group of his customers to experience the culture, cuisine and of course the wine in Emilia Romagna with the team from Cevico. Day one we arrived in Bologna, the home of Bolognese, and were greeted by Alida Sangiorgi, Marketing Manager at Cevico, and our bus driver, Mauro, who took us to our first stop – an incredible visit and lunch, cooked by Chef Paola Cucchi, at Tenuta La Massellina, in the Castelbolognese commune of Emillia Romagna. 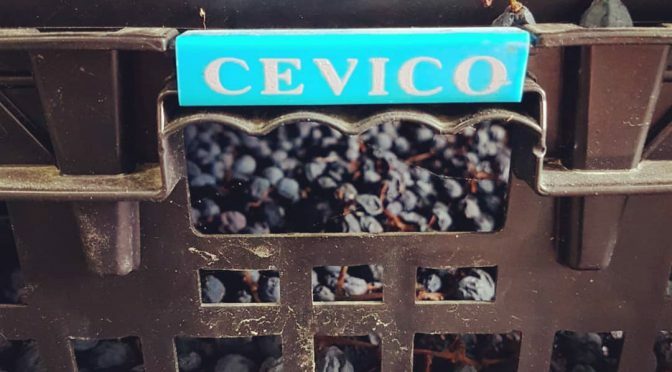 The estate is owned by one of our most important partners, Cevico, and is the source of some of the Emilia-Romagna wines in our portfolio. Here we were joined by more of the Cevico team who shared so much knowledge with us over the coming days; Cristina Melandri, our guide from the Cevico team and Alberto Medici, co-owner of the family run Medici Ermete. After the already action-packed first morning and lunch, we took to the road once again to visit Basilica San Vitale one of the most important surviving examples of early Christian Byzantine art and architecture in Europe. The walking tour unveiled of some of Ravenna’s historical monuments including Dante’s Tomb. 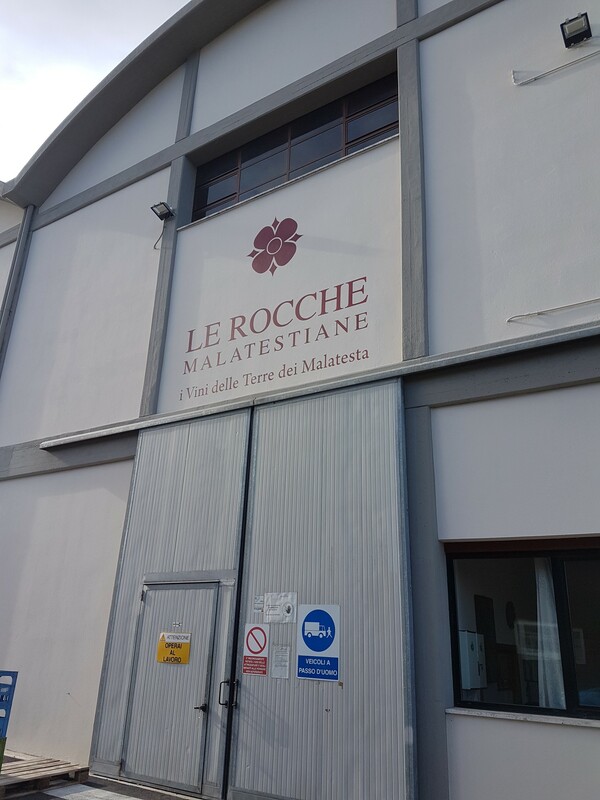 Day two, we drove along the coast to Rimini to visit Le Rocche Malatestiane, which takes its name from one of Rimini’s oldest noble families, the Malatesta family. 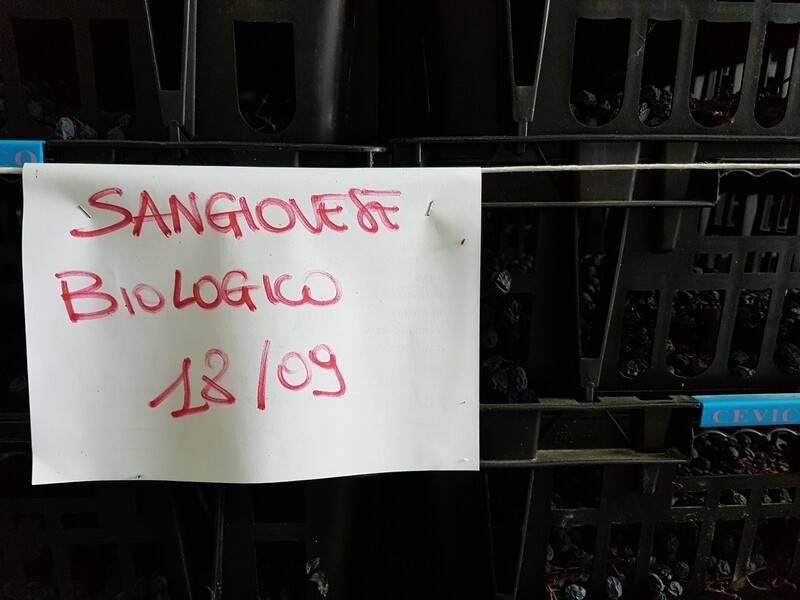 We were given a tour by our guides, Elena Piva and Enrico Salvatori, where we were shown and told about its fermentation tanks, grape drying process and barrel cellar, followed by a wine tasting of three whites and three reds each more moreish than the last. 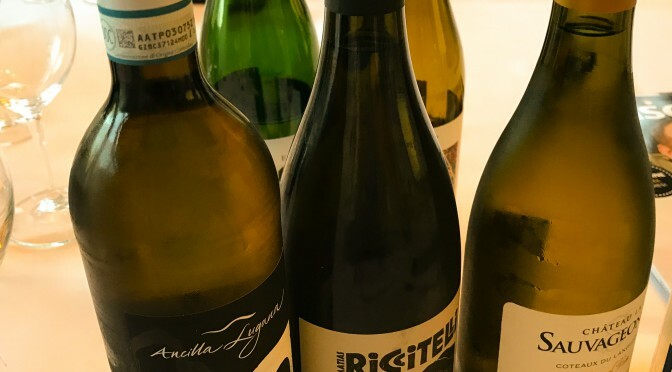 Including the Antica Marineria Bianco, an oaked-aged white wine made from 100% Sangiovese. 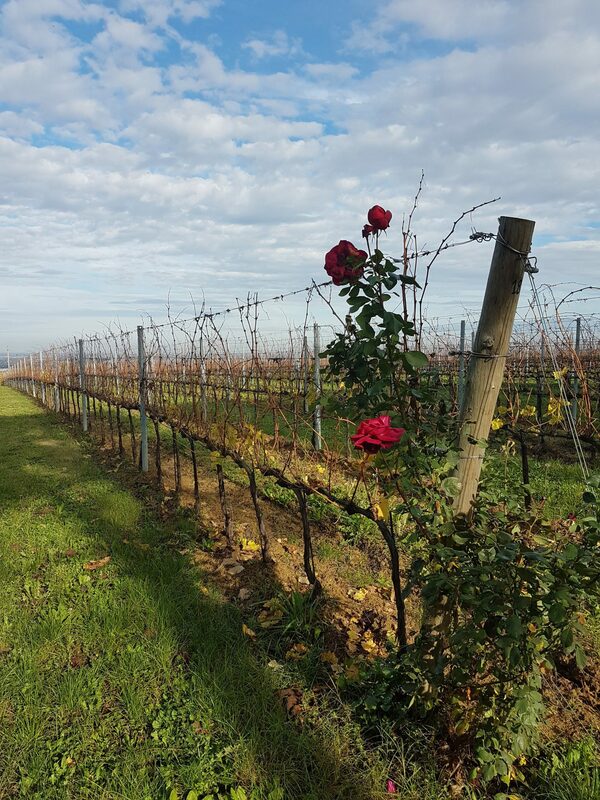 We talked everything from soils, fermentation, ageing and grape varieties – a very interesting tasting and visit. Following this busy morning, we stopped for lunch at Trattoria Zaghini Santarcangelo where we were treated to a divine array of foods, and probably the best pasta I have even eaten (the wine was pretty good too), all set in a beautiful traditional Italian restaurant surrounding. We were well in need of a walk after such an indulgent lunch, so stopped off at Santarcangelo, a medieval town 10km north of Rimini which had the atmosphere of a large village rather than a town. 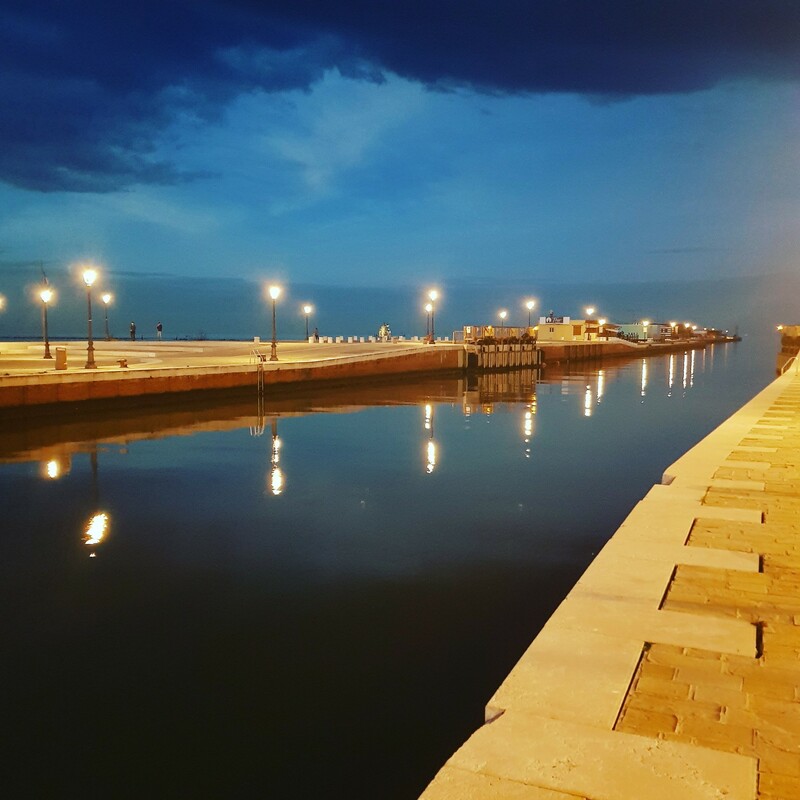 The final evening of our trip of course involved more fantastic cuisine, with dinner on the canal at a seafood restaurant, Cesenatico. Alberto Medici toasted the evening with his Lambrusco – Medici Ermete ‘La Favorita’ Rosso Secco, Lambrusco NV – a chilled sparkling red, nothing like I have tried before, filled with an abundance red fruit flavours with a delicate finish. A truly spectacular wine!